To thank Ben for all of his hard work on our kitchen, I got him a custom cutting board from our newest sponsor, Joseph Thompson Woodworks. 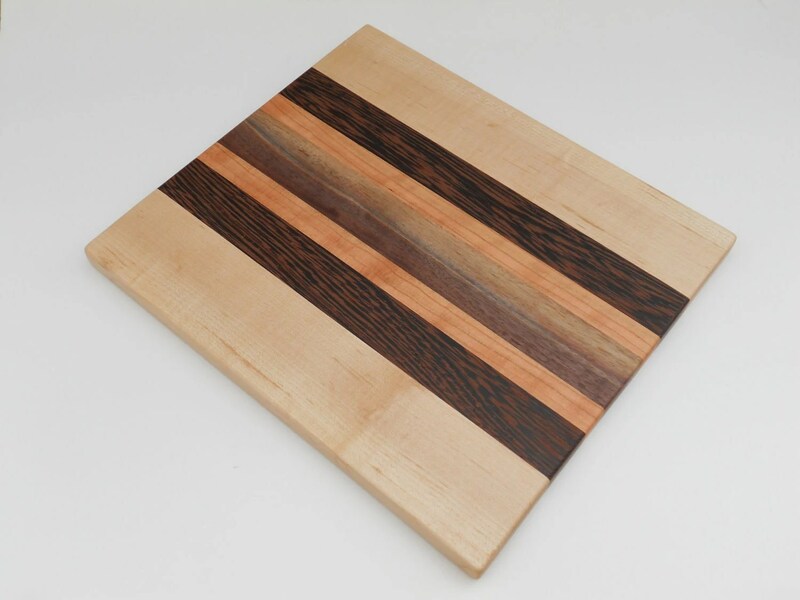 Joseph Thompson Woodworks is a husband and wife team, so Katie actually made my cutting board. And she did a wonderful job, I might add. The board has a smooth, sleek, durable finish. I hate when cutting boards slide around, Katie fixes that problem with rubber feet. It’s the prefect size for most of our cooking, too. Different wood tones, but each looks lovely together and with our wood counter tops. Speaking of our counters, we’ve changed our minds. We’re painting them! Ahh, just kidding. But we did change our minds about the mineral oil finish. While the oil is affordable and odorless, it didn’t protect the wood enough from water and left an oily residue on paper. And with the cabinets extending to the counters, it’s too much of a pain to oil around everything once a week. So we made the switch to natural colored (clear) Watco Danish Oil. Basically, the Danish Oil is a cross between mineral oil and polyurethane. It gets applied and wiped off like an oil, penetrates like an oil, but hardens like a polyurethane. Recoat is the same as an oil, too. Lightly sand, remove the dust, reapply, let it soak in. Wipe if off after 30 minutes and leave it to sit over night. Sure it’s a little more smelly than mineral oil, but we want to protect our counters and actually use them, so it’s totally worth it. Thanks to an unseasonably warm winter, we were able to turn on the vent hood, crack a few windows and get working on the counters. If there had been a drastic difference in the look, I would have included after pictures, but they still look the same. Yay! And there are plenty more in the shop. Or, talk to Katie about a custom design. 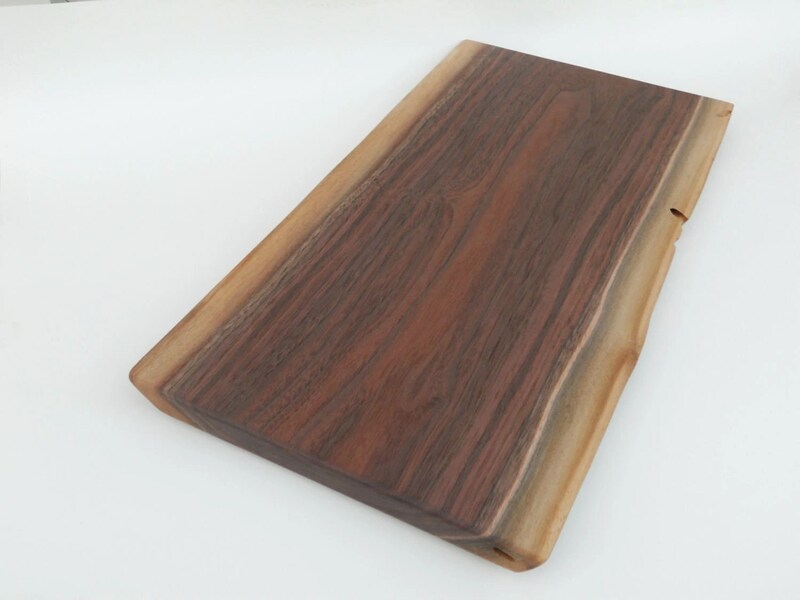 What do you think of the cutting boards? Do you buy gifts to thank someone for their hard work? What did you get for him/her? P.S. Use the code OHA2012 at check out to get a 5% discount from Joseph Thompson Woodworks. There are beauitiful! I’m going to have to remember these when it comes time for Father’s Day. The cutting board is lovely! And I was actually curious as to how the mineral oil was working out. How’s this new stuff working out? Do you have to redo it very often? Hi Annabelbita, That’s a great thank you. Thanks so much for sharing! Hey Nikki! Aren’t they? They’re wonderful, definitely a great Father’s Day gift! Hi Ashley! The new oil is great so far. We’ve applied two coats, leaving each to cure overnight. We’ll have to do a few more, but it protects the wood SO MUCH MORE than the oil. It’s like night and day. Hopefully a few more coats and we’ll be good for a year. I think that’s the recoat time, but we’ll see. Is this wood company based in Lebanon, Ohio? I know a Joseph Thompson in that city who is a woodworker! 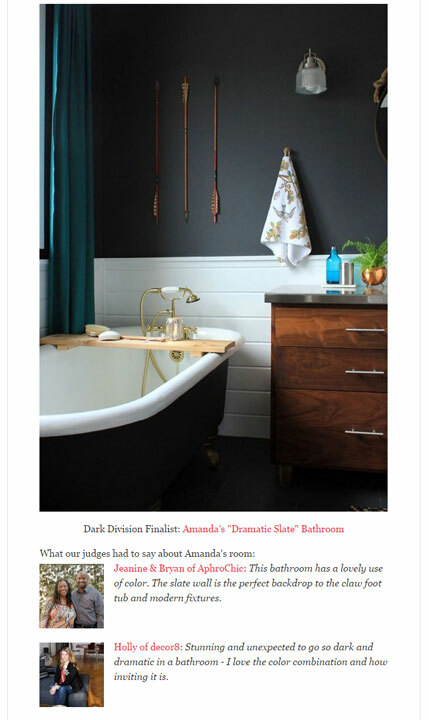 Thank you so much for such a kind write up Amanda! We absolutely love how well the board works with your beautiful counter tops. Watco is a great finish to use for your counters, and if you ever need to refinish your board after a while, we use Watco’s Butcher Block oil on all of our boards! love the boards and LOVE your countertops! Very nice!